Affiliate links There’s nothing better than a bold lipstick for fall, but finding the right shade can be intimidating with seemingly infinite options! 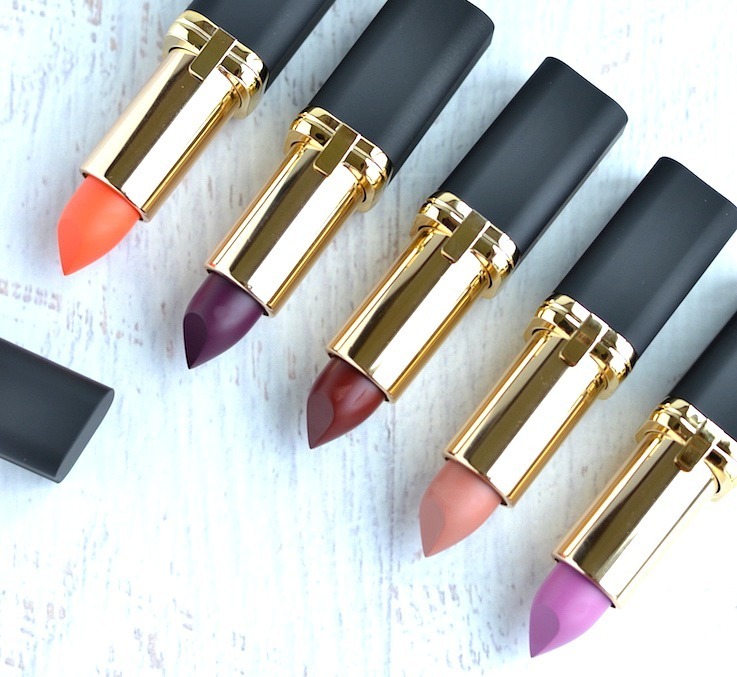 If you are looking for a few new sultry shades to spice up your makeup look for the sweater weather, check out this ULTIMATE list of the best lipsticks for fall that are guaranteed to turn heads! No matter the budget or finish (long-wearing mattes or silky satins) you prefer, there’s something for everyone. From sultry browns, berries and burgundy to moody mauves, reds and plums, below you’ll find the hottest hues for fall that will sizzle, even as the temperatures drop! 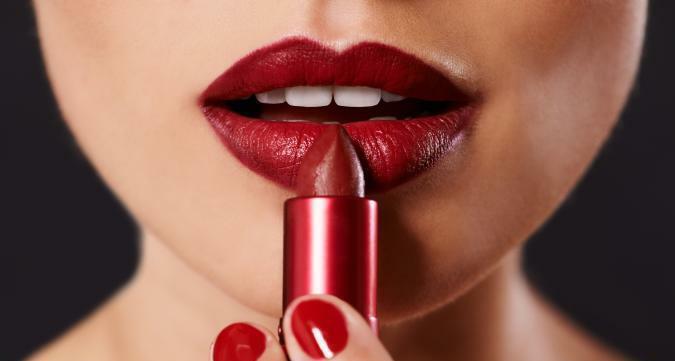 From drugstore delights to high-end picks that’ll give you the most bang for your buck, keep scrolling for the best lipstick shades for fall (and winter) you’ll want to wear all season long! The perfect blend of red and orange, this lipstick shade is warm, happy and is sure to garner lots of compliments! Like the other Bite Beauty lipsticks, this one is comfy to wear and delivers bold, creamy color. Described as a spiced terracotta, this matte lipstick shade is perfect for the pumpkin-spice season. The formula is super smooth and the pigmentation is through the roof! If you’re feeling moody and want a lipstick to match that vibe, this sultry rose-brown makes for a striking (yet wearable) look! Plus, it has both warm and cool undertones, which makes this shade look flattering on every skin tone. This reddish-brown lipstick is the perfect way to ease into brown shades if you’ve been wary in the past. And it’s only $8, so you won’t have to break your bank to dip your toes into trend! With its pigment-packed and smooth matte formula, it actually performs better than some lipsticks twice its price! This gorgeous mauve-berry lets you mix up your everyday makeup look without straying too far from your comfort zone. Not only does this matte liquid lipstick dries quickly but is also full-coverage and transfer-proof. This deep mauve is warm, sultry and looks stunning on all skin tones. With an oil-infused formula, this glossy lipstick delivers serious hydration — a must-have during chapped-lips season. This rich chocolate-brown lip paint gives ’90s vibes in the coolest way…consider it your secret weapon to slay all day! With a high-impact color and low-maintenance long-wear formula, the weightless matte liquid lipstick formula goes from zero to 100 in one stroke! Perfect for chilly fall days, this deep wine red is packed with pigment for an edgy retro look. 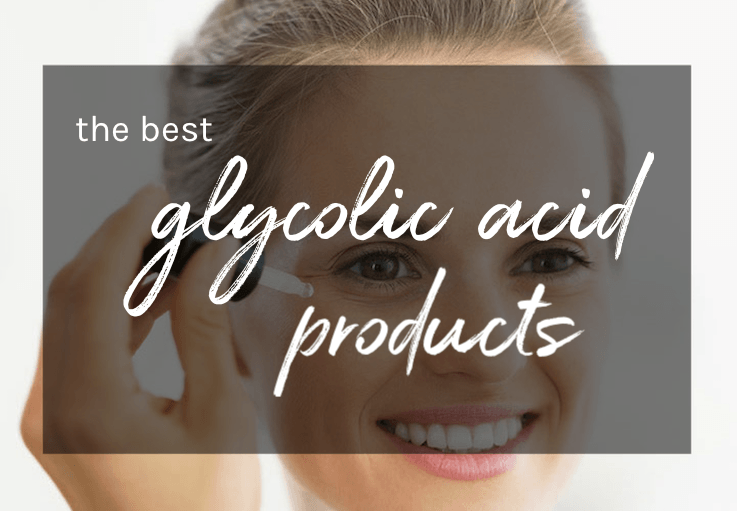 It’s specifically formulated not to dry out lips and stays put without flaking or feathering. This deep, sultry purple is such a statement shade for a pout that stands out! The lightweight but smudge-proof formula literally lasts all day while being comfortable on the lips. This bright burgundy commands attention without looking vampy! The rich scarlet hue glides on gorgeously and sets to a satin-matte finish that stays smooth for hours. Bold and bright, this rustic spiced red lipstick just screams fall! And it won’t make you feel too far out of your comfort zone. Not to mention, it smells like peaches and cream and stays put – just like a good red should. This pretty brown-toned raspberry is perfect to spice up a simple makeup look instantly! With a rich color payoff and silky smooth feel, this new shea-butter infused lipstick from Almay is a beauty bargain at under $8 a pop! This earthy brick rose lipstick shade (with soft brown undertones) is perfect for a vibrant, classic red lip with a twist. It has a velvety matte finish and coats lips with rich, opaque color that lasts. The perfect plum mauve, this matte lipstick will get you in full-on fall mode even if you are a summer lover like me! It has a creamy formula that packs a punch in the pigment department with an elegant matte finish that’s long-lasting. This sumptuous deep rose shade is the perfect everyday neutral for fall. It’s one of those day-to-night shades that’ll look just as good on in the office as it will on a dinner date! And the creamy formula is hydrating and super pigmented with a satin finish. If you are looking for an easy-to-wear pinkish purple, then this lipstick is a must-have! The best thing about this glossy lipstick though is its rich, creamy texture that feels super hydrating on lips. Deep enough to look fall-appropriate while also being totally wearable, this berry-toned lipstick is universally flattering (not too cool, not too warm). 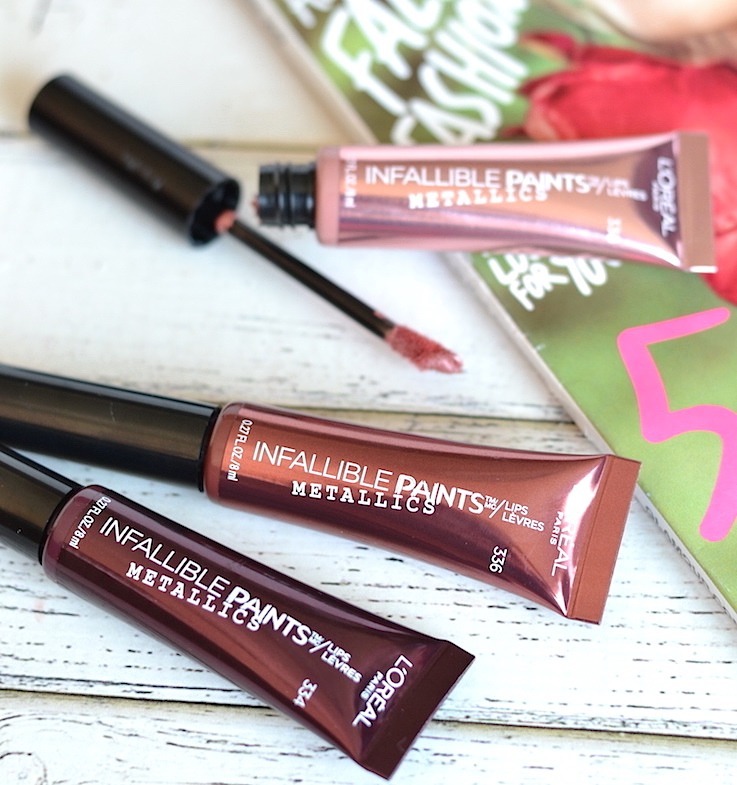 With a true matte finish, the matte liquid lipstick formula provides full color coverage and won’t budge at all! If you’re not one to go over-bold for autumn, this (very) berry alternative is lighter on the eyes, but still vibrant enough to make an impact. And the formula is truly long-lasting without leaving your lips dried out…it’s a steal for under $5! You’ll be feelin’ good in this reddish plum wine (minus the hangover!) shade that’s a moody take on a classic red! The long-wearing lux lipstick offers a velvet matte finish with a pop of vibrant color. You can’t go wrong with a rich berry shade for fall and this sophisticated rose berry is simply stunning! With a creamy velvety-soft texture, it feels like a treat for lips and also has hydrating hyaluronic acid to boot. Which of these gorgeous lipsticks is calling your name?